This is part of our Pillar Content of Flag Theory™ where we detail how you can take a well proven strategy for protecting and growing your self and your wealth apply it. The strategy is comprised of 7 flags, and passport is the 1st flag of Flag Theory. It provides access to the rest of the other flags (residency in another country), banking in a financial hub, setting up and company – and much more. 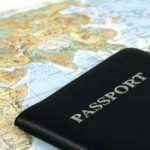 This article is designed to show you the different options for passports available with various gov around the world. See a full list of all second passport options at passports.io where countries compete for you. A passport is defined by Wikipedia as “a travel document, usually issued by the government of a nation, that certifies the identity and nationality (not citizenship) of its holder for the purpose of international travel.” As you’ll soon see – it’s a lot more than just a travel document. It’s a representation of your citizenship, and ultimately – your freedom. 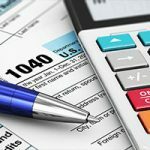 The US government, for instance, instituted a law starting in 2016 that allows the IRS to make a request to the state department to cancel the passport of American citizens traveling abroad. You can read more about how passports can be cancelled by the IRS here. What is an alternative citizenship? Alternative citizenship is having citizenship in multiple countries simultaneously. Dual citizenship is an accepted practice worldwide, where one can obtain a second passport and additional travel or financial benefits, as well as protection against worse case scenarios. Is a 2nd Passport Legal? Citizenship is an extremely polarizing subject. Many people incorrectly think that a 2nd passport is illegal. This is a myth. Ignorance and nationalistic indoctrination have perpetuated a stigma that somehow obtaining a 2nd passport is “grey”, or outright illegal across the world. Plenty of people have dual citizenship, and you can do. If you want to see if you are eligible for dual citizenship, here is the full list of eligibility for every country in the world. Many countries are taking a more progressive stance, give the international nature of many families. It is quite unfair to forbid a young child to hold a citizenship from both his parents if he is so entitled, and some countries allow a youth to hold multiple citizenships until a certain age (see Thailand). Passports play a vital role and are the 1st flag of flag theory because they open up a world of opportunity. Here are some ways in which you can get a 2nd passport. The quickest and most direct path to a second passport (no matter who your parents are, where you are born, or where you live) is through an officially recognized citizenship by investment scheme. We’ve made a list of all the countries of the world, and how you can become a citizen after a certain period of residency. Almost all developed countries have laws in place whereby a long-term resident can become a naturalized citizen after a certain period of time. We’ve made a list of all the countries of the world, and how you can become a citizen after a certain period of residency. Jus Sanguinis is a Latin phrase which translates to “right of blood”. This is a principle of nationality law by which citizenship is conveyed through one or both parents who are citizens of the state. For instance, if you are a descendant of Italian, Polish, Hungarian or Irish parents, grandparents or even great grandparents – you should look closely to see you can apply. Jus Soli is a Latin phrase which translates to “right of the soil” meaning that it is the right of anyone born in the country to citizenship. This is an unconditional basis for citizenship, that if the baby is born in the state (and not on a military base) and is common in the Americas, (Canada, USA, Brazil, others) but is rare elsewhere including Europe, where Jus Sanguinis is the predominant method of determining nationality. Official/diplomatic (no-fee) passports are issued to officials or employees of the U.S. Government (and their dependents) traveling abroad on official duties. Official/diplomatic passports are normally issued by the Special Issuance Agency in Washington, D.C. and valid for five years. The strongest passports in terms of Visa-free travel are the United Kingdom, Finland, and Sweden, whose holders can travel to 173 countries without a visa. Also notable are Denmark, Germany, Luxembourg, and the U.S., with visa-free access to 172 countries. The US is a special exception, however, as it relates to Flag Theory because US passport holders have a worldwide tax obligation that can only be relinquished upon renunciation. What is the best passport to have? Objectively, the best passport to have as a permanent traveler is the one that offers you the most travel benefits, without placing a burden on you financially. The best passports are ones not available to the public, called diplomatic passports. The benefits of a diplomatic passport are overblown, it has a very privilege that government officials extend to their buddies – but overall it makes very little difference to everyday life. I have diplomatic entry to Thailand. Does it make any difference in my life? None. I might save 10 minutes because I have a work permit through a BOI company. Don’t stress about a diplomatic passport, and don’t trust someone who says they can get you one for 40k – it’s not worth the effort or trouble. A diplomatic passport reminds me of a quote from the stoic philosophy I’ve adapted slightly the permanent traveler needs nothing and yet can make good use of anything, the politician needs everything and can make good use of nothing”. What is a passport? A passport is a travel document, usually issued by the government of a nation, that certifies the identity and nationality (not citizenship) of its holder for the purpose of international travel. What is the best passport in the world? The strongest passports are the United Kingdom, Finland, and Sweden, whose passport holders can travel to 173 countries without a visa. Denmark, Germany, Luxembourg, and the U.S. have visa-free access to 172 countries. What is the difference between Ordinary and official passport? Regular passports are for people who don’t have diplomatic status and aren’t traveling on official government business. Official passports are for government officials who get special privileges during their travel. When doing citizenship by investment, the first thing you should look at is the actual law in the country – is this a fully legal and legitimate program. The second thing to look at is the passport provider – are they legitimate? There are many different passport scams out there. These range from the black market (fake or forged documents) to the grey market (payment or bribery for shortened timeline). You should never spend a dime on any of these programs, as unless there is an official law backing your naturalization process, it can later be stripped from you (and you could even face fines or jail time as they make you the scapegoat). How to Get Started with A 2nd passport? 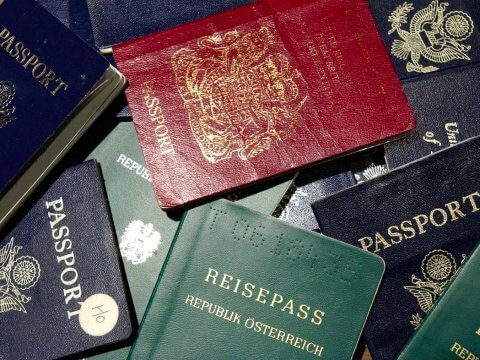 Which countries offer second passport? There are many different countries which offer a second passport, a full list of all the countries which allow you to become a citizen are listed on Passports.io. Temporary residency to residency to citizenship. These are programs shown in the right-hand column where you can get a temporary residency in the country, and then after a period of time apply to become a permanent resident, and then after another period of time apply to become a citizen. This is the “cheapest” route to a second passport but also requires the longest timeline. Permanent residency to Citizenship. Many countries allow for instant permanent residency if you are able to make an investment of a certain amount. After a period of time as a permanent resident, you can then apply for citizenship. These are countries in the middle column and include Paraguay, Panama, Singapore, and several others. Instant citizenship. Instant citizenship through investment is available in a few different countries around the world, in the column to the far left. These countries all have an official scheme whereby when real estate or other investment is made – you can become a fully naturalized citizen after the application process. Normally, there is no requirement to stay in the country for a certain period of time. The cheapest second passport is available through temporary residency in a country, which is later converted into citizenship. If you are a citizen of a former Spanish colony – say the Philippines, you can get a second passport in Spain in just 2 years, and it will cost you almost nothing. You simply need to start a business there. See this article for more on that program. Panama has a great residency scheme for countries which can apply under a ‘friendly nations visa’ this scheme requires $5000 bank deposit (or mid 4 figures) to receive the visa, during which time you are expected to start a company (capitalize with 10,000) or invest in real estate (50,000+) and after 5 years you can become a citizen. Paraguay also has a relatively inexpensive second passport process where you can become a permanent resident when you put $25,000 in a bank account (which can be withdrawn) and go through an application process we would be happy to assist you with. After 3 years of permanent residency, one can apply for a second passport. There are many different ways to obtain a second passport. Do NOT get married to a man/woman solely for the purposes of a second passport. In many countries, including the United States – this is illegal and they will have specific questions during the interview such as “what color are the curtains in your bedroom” to try and uncover your plot. Do NOT bribe a local official. If someone offers you the chance to “quicken the timeline” to a second citizenship you should politely decline, and avoid that person. Not only could they take your money, it’s quite likely they will need to forge documents on your behalf. If this is later uncovered, your citizenship could be revoked. Want to Get Started with A 2nd passport the right way? This button will direct you to a secure form, fill it out and someone from our team will contact you for a free, no obligation consultation. How can I quickly become a New Zealand Resident and Citizen? How can I get fast residency in Singapore if I’m an Entrepreneur? Where can I get an instant passport in the EU with an investment? We can help you apply for a new travel document, in a new country. We would be happy to be at your service, we accept all major credit cards, and can provide a referral from entrepreneurs, investors, and individuals just like you who we have successfully assisted with international immigration. We can help you on your search, whatever stage you are at, whether you want to learn more, or are ready to put down a deposit and apply, we have information for your situation and can help with your application. Your deposit will not be lost or stolen, it is used to perform due diligence that we do on all of our customers. If we are not certain you will be accepted into a fully legitimate and legal program, we will give 100% of your money back. You are also entitled to a refund if your application is not successful (to date we have not had any unsuccessful applications). If we take your money, your acceptance is guaranteed, there is no risk. It is as simple as that, contact us for assistance today. Check out our Facebook page, or use the link above to start your journey to a new country.